MFM Building Products, a manufacturer of a full envelope of waterproofing and weather barrier products for the building industry, has introduced Premium HT Tile & Metal™, a high-temperature roofing underlayment. This self-adhering, self-stick roofing underlayment is composed of a high-grade, reinforced polyester fabric laminated to a high-temperature asphalt adhesive system. This premium product also has a fiberglass-reinforced core for extreme durability and features a 3” selvedge edge to ensure a secure, monolithic seal. The surface fabric offers excellent foot traction and for stacking tiles during construction. Premium HT Tile & Metal’s UV exposure is 180 days. 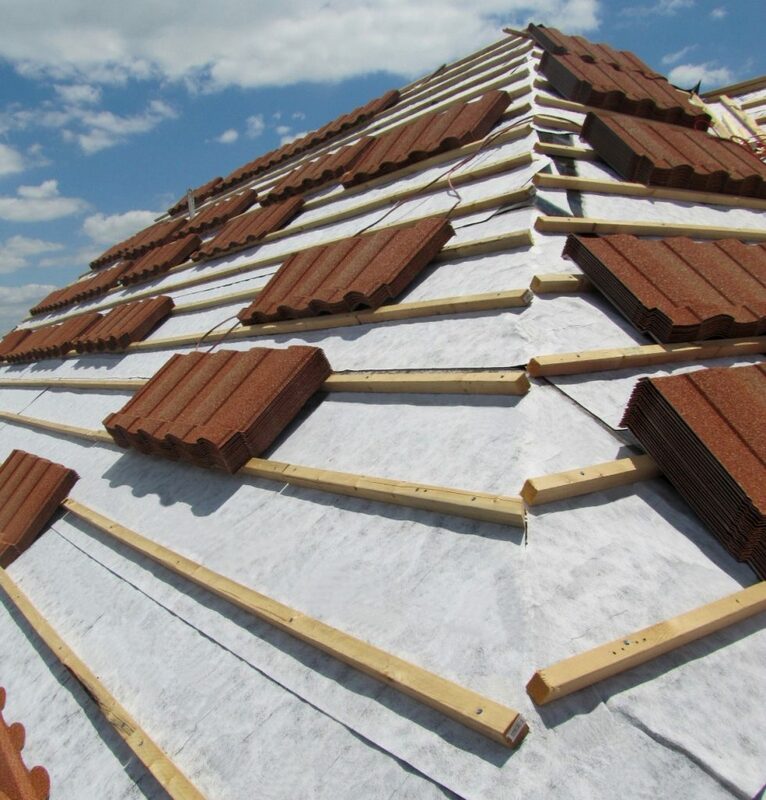 Premium HT Tile & Metal is intended to be used as a whole-roof underlayment. It will withstand the high temperatures created by metal and tile roofing with a temperature rating of 250°F. The top surface bonds well with foam adhesive systems and works well with nail-down tile roofs. It may also be used underneath cedar shakes and synthetic or asphalt shingles. Premium HT Tile & Metal is self-sealing around common roofing fasteners to ensure a complete waterproof barrier. The underlayment has a nominal thickness of 60 mils and is available in a 36” x 67’ roll size. The product meets ASTM D 1970 and TAS 103-95 through independent, third-party testing, and has been submitted for product approvals. Premium HT Tile & Metal comes with a 30-year limited warranty.